Click on the box in the menu to the left for our 2018 stats. 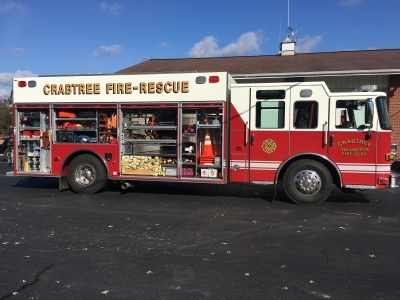 This afternoon, Utility 34 operated at 2 Brush Fires along Route 22, east of New Alexandria. Engine 34 also responded to assist with the water supply, but was not utilized. Units on the scenes: 77, 132, 34. Crews out 1 hour. 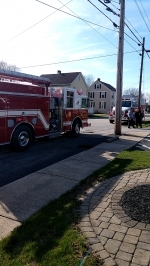 At 08:36 units from 34 & 77 operated at a natural gas leak in a church in 77's District. Engine & Rescue 34 assisted with air monitoring and ventilation. Units out 1 hour. At 13:05 units from 34 & 114 operated at a Brush Fire off of Twin Lakes Road (114 District). Crews extinguished the fire and overhauled the area to prevent a flareup. Units out 50 mins. The past 2 days, the department has been busy running many weather-related crashes and stuck vehicles. In total, crews handled 6 incidents, all minor with no injuries reported. This site has been viewed 562,274 times.